Last weekend was all about pinball. This weekend… its all about bocce. 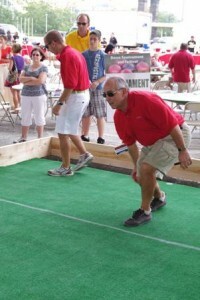 The Heinz History Center hosts the 2nd Annual Bocce Tournament and celebration of all things italian. The tournament raised funds for Italian American Endowed Fund. The history center will be setting up 2 bocce courts in the parking lots at the corner of Smallman and 12th Street. There will be italian food and music from Pure Gold, Vito DiSalvo & Daniella Pasquini and Jimmy Sapienza’s Five Guys Named Moe. You can read more about the Bocce Tournament in the Post-Gazette and the Tribune Review.